Uses leverage to hold against the doorway, Installs and removes in seconds! 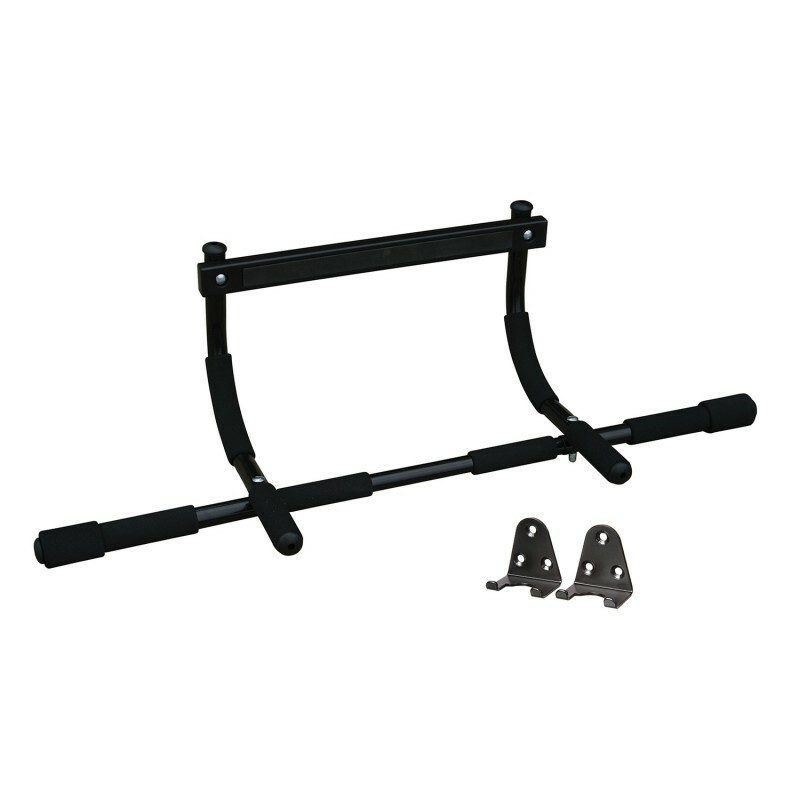 Heavy Duty Steel Construction Supports Up to 100kg (220lbs), Professional Quality! 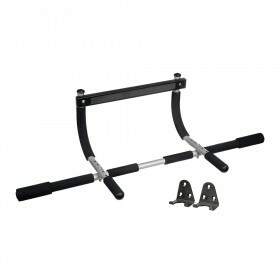 Transform your doorway into a gym - IRON GYM® Express™ is the multi-function exercise bar you can use to do pull-ups, chin-ups, sit-ups, arm and shoulder exercises - every exercise you need to build a powerful upper body! Especially suitable for juniors because of a thinner bar which makes a better hold possible. 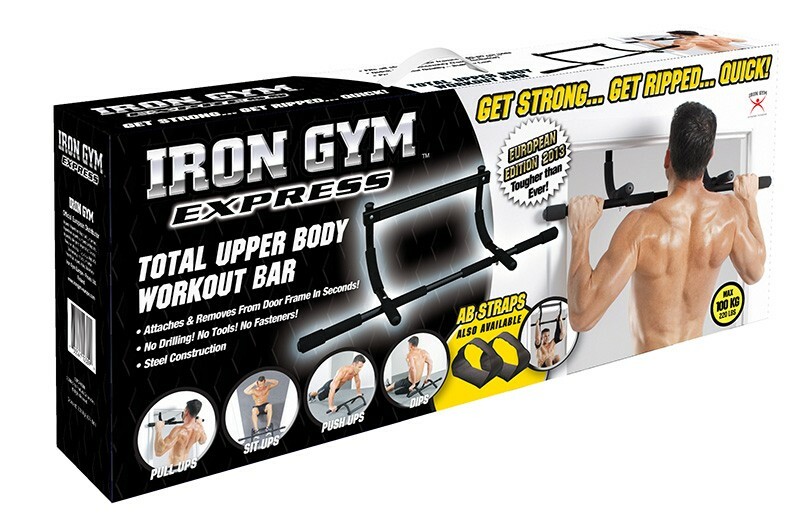 The IRON GYM® Express™ uses your body's own resistance to deliver powerful results fast. It strengthens and tones your biceps, triceps, chest, back, shoulders and abs. 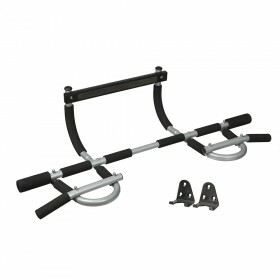 The heavy duty steel construction supports up to 100kg! Strengthen and tone your biceps, triceps, chest, arms, shoulders and abs! All Original IRON GYM® Workout Bars come with exercise guide, with illustrations how to perform all 7 different exercises: 3 different pull ups, 2 different push ups, sit ups and dips. Manual is in 22 languages. Subscribe to our Youtube-channel for training videos: Youtube. Original IRON GYM® - Accept No Imitations!